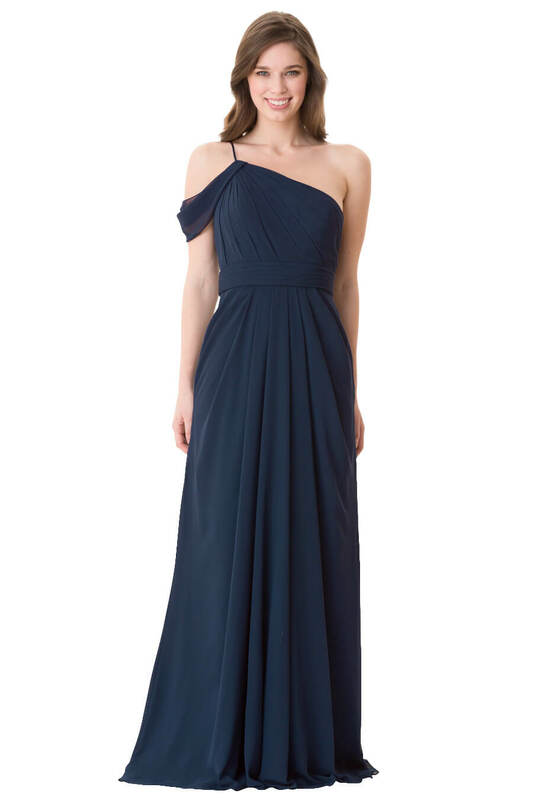 One shoulder pleated bodice with spaghetti strap and draped shoulder. Pleated waistband. Pleated skirt. Side zipper closure.